Interstellar is released today, and it’s fair to say we’re pretty excited. The first reason is that it looks like a genuinely brilliant movie, with an incredible cast headed up by a top-of-his-game Matthew McConaughey. The second is that it’s directed by Christopher Nolan, a director who – in our heads – can do no wrong. Nolan can always be relied upon to conjure up something epic that gets you thinking as well. So, to celebrate the release of Interstellar, and satisfy our own Nolan fanboy leanings, here are 5 of best movies from one of Britain’s greatest directors. According to this infographic, there are going to be 39 new superhero movies released between now and 2020 – roughly 7 per year. Superheroes are the dominant force in the movie industry, and we’ve got one movie to thank for it: Batman Begins. Batman Begins introduced us to the idea that movie superheroes don’t just have to be goody two-shoes who spent their days saving the world; they’re real people with flaws who just happen to have a relatively decent set of morals. Nolan’s Batman is an angry, troubled young man whose sole aim is to avenge the murder of his parents. He doesn’t just suddenly decide to take on the world for the good of the people; there’s even a bit where he considers killing a mob boss in cold blood! Without Batman Begins, there would be no Iron Man – with it’s arrogant version of Tony Stark – and definitely no Man of Steel, with it’s murderous version of Superman. In fact, Begins spawned all manner of ‘dark’ reimaginings of franchises, although Nolan’s take on Batman remains the most successful. Memento was Nolan’s breakthrough movie, which is remarkable considering it’s one of the strangest films we’ve ever seen. Based on a short story by Jonathan Nolan (Christopher’s brother and frequent collaborator), Memento tells the tale of an amnesiac hunting the murderer of his wife. To combat his frequent memory loss, he tattoos clues onto his body and maintains the company of various weirdos. That’s a weird enough premise on its own, but Nolan takes it a step further and introduces a dual timeline – one chronological, one reverse chronological. Black and white scenes are in chronological order, while the colour scenes play in reverse. It sounds like a gimmick-y addition, but it works incredibly well and adds to the overall sense of disorientation Memento’s central mystery creates. Got a copy of Memento that you don’t watch anymore? Sell it with musicMagpie! Coming off the back of The Dark Knight, Nolan was given free reign to do what he wanted by Hollywood executives. We can only imagine how they reacted when he returned with an epic crime thriller about a gang of criminals who steal people’s thoughts from their dreams. 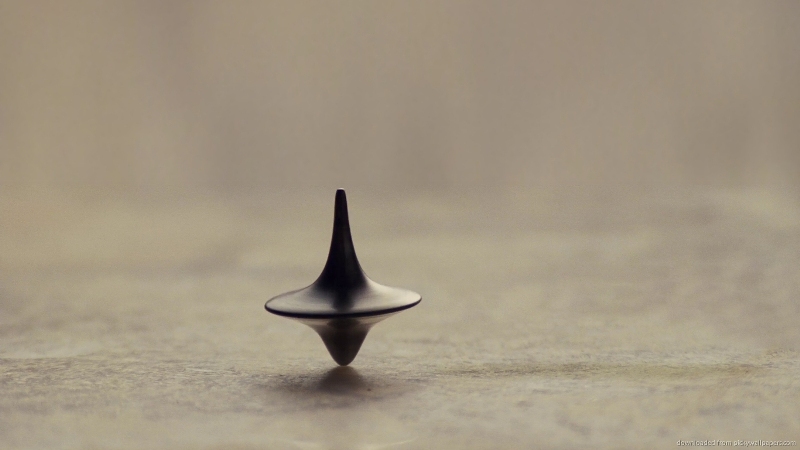 Inception is without doubt the boldest blockbuster of the past 10 years. The central concept is difficult enough to grasp – how can people jump into someone’s dreams to steal their secrets? – but then Nolan introduces the idea that dreams have levels, and that they can be manipulated from by outside influences too. You certainly don’t get that in Transformers. And yet, as with Memento, Nolan finds a way to make this madness work by tying it to main character Cobb’s relatively straightforward desire to be reunited with his wife and children. Despite it’s crazy premise, Inception is actually a fairly simple movie about love and loss, and it’s this combination of massive, complex plots and simple themes that make Nolan such a great director. If Batman Begins kickstarted the superhero revival, The Dark Knight sent it into the stratosphere. ; it was the first superhero movie to gross over $1 billion at the box office, showing Hollywood bigwigs the money-drawing power of men (and women) in tights. Strangely, though, The Dark Knight isn’t really a superhero movie at all. Name another superhero movie in which the main superhero ultimately fails, even after undertaking some morally dubious methods to take down a single villain intent on causing chaos. Batman is constantly outwitted by the Joker, portrayed by Heath Ledger in an incredible performance, which is practically unheard of in a superhero film. Although he is ultimately [SPOILERS] arrested, the Joker manages to kill Batman’s girlfriend, turn the noblest man in the city into a half-faced psychopath and send Batman into exile. Who really won there? Nolan’s twisting of the superhero genre extends to the plot of the film itself, which plays out more like a crime thriller than a traditional superhero romp. As well as cleaning up at the box office, The Dark Knight is beloved by critics and fans alike. At one point, it even held the coveted #1 spot on IMDB’s Top 250 (although it’s since dropped to #4, above Pulp Fiction). Insomnia is the forgotten film in Nolan’s filmography, despite being one of his best. Insomnia stands out for a couple of reasons: it’s a remake of a Norwegian crime drama, and it’s the only film Nolan directs that he doesn’t have a writing credit on (even though he actually helped produce the final draft). Despite not having his usual level of control, Nolan still makes this remake his own, with a unique shooting style and two excellent central performances by Al Pacino (in his trademark ‘slightly-crazed’ detective role) and Robin Williams (who was in the midst of his dark, brooding phase). It’s well worth digging out if you haven’t seen it yet. If you own any of the films in the post but don’t watch them anymore, why not see how much you could make by selling them with musicMagpie?